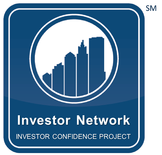 The ICP Investor Network is comprised of energy efficiency investors who recognize the value of standardized Investor Ready Energy Efficiency™ (IREE) projects. Members of the program recommend the use of the ICP protocols and the ICP Credentialing System as best practices when developing energy efficiency projects as projects that have been certified as IREE increase confidence in performance while reducing due diligence related transaction costs. BluePath Works closely with contractors and installers to provide a variety of financing structures for non-profit and commercial customers. Byline Financial Group is a wholly-owned subsidiary of Byline Bank and can deliver cost effective financing solutions for all types of energy efficiency measures, anywhere in the US. Our "sweet spot" for project size ranges from $10K to $500K, and our average transaction size is $100K. We offer traditional equipment lease agreements, installment purchase agreements, usage agreements, and other unique structures to help our partners close projects more quickly, and overcome "first cost" objections and budgetary obstacles. CleanFund Commercial PACE Capital provides long-term financing for energy and water improvements to commercial properties. 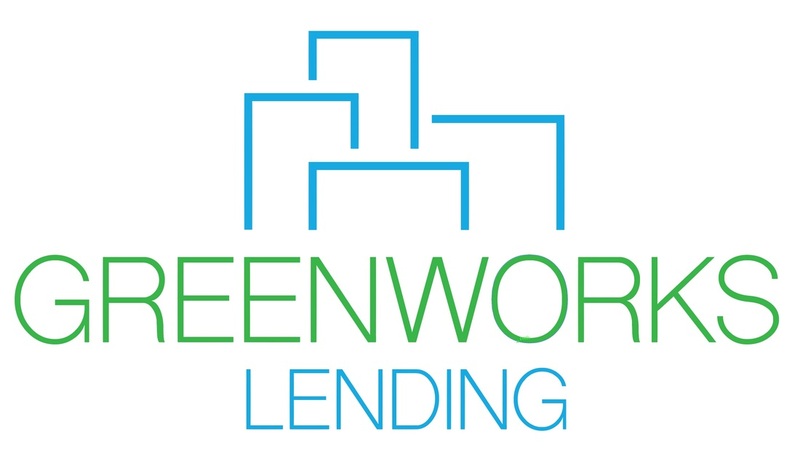 Greenworks Lending is an origination and financing company focused on commercial PACE projects nationally. HUB International Insurance Services Inc. is a leading global insurance brokerage representing insurance carriers that recognize the ICP credentialing system in their risk analysis and underwriting. Available lines of coverage include property and general liability, project performance, workers' compensation, management liability and credit default insurance. Joule Assets invests in energy efficiency and demand management projects through a network of carefully vetted contractors. Joule is dedicated to unlocking cash flows, monetizing savings and enhancing returns in these projects, thereby accelerating opportunity in the energy reduction asset (ERA) market. LANCE Capital can structure deals as an Energy Service Agreement (ESA), and with Investment Grade credit of the off-taker, is are able to offer off-balance sheet 100% debt financing at a fixed rate as low as 4.5% for 25 years. Domestically and International. Petros PACE financing is a national commercial pace lender focused on transactions greater than $250,000. Loan terms from 10 to 30 years. ReNewAll works with building owners, schools, municipalities, contractors and the trades to develop energy efficiency and renewable energy projects. The ReNewAll Clean Energy Fund offers PPAs, leases, loans, tax equity and multiple PACE project financing options for contractors and property owners. We support ICP as a best practice. Renew Financial manages the CaliforniaFIRST Property Assessed Clean Energy ("PACE") that provides low-cost financing for energy efficiency and renewable generation projects for residential and commercial buildings in California. Renew Financial believes that ICP will increase demand for energy efficiency and streamline the underwriting and customer decision-making processes. SparkFund focuses on energy efficiency and clean-tech infrastructure financing solutions for $10,000 to $1,000,000 energy savings projects. SparkFund aims to provide greater access to the benefits of energy efficiency for business owners, contractors, and partners. SparkFund partners directly with energy efficiency contractors, manufacturers, and ESCOs to enable the shift from a cash upfront to a “pay over time” sale. 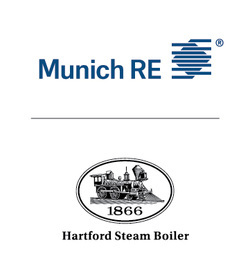 ﻿Hartford Steam Boiler (HSB), part of Munich Re's Risk Solutions, is a leading engineering and technical risk insurer providing equipment breakdown insurance, other specialty coverages, related inspection services and engineering consulting. HSB’s specialty energy products include energy efficiency insurance, solar shortfall, and asset performance insurance. M-Core™ Credit is the oldest and most experienced lender to energy savings and energy retrofit projects in the multi-family and commercial segments, having financed energy savings and sustainable energy related projects since the 1990’s. These projects have included multi-family buildings, commercial buildings, Federal Housing Authorities, School Districts and Corporations around the country. Metrus Energy provides capital (100% financing) for retrofit projects via its Efficiency Services Agreement (ESA). Rather than paying for equipment, operations, and maintenance costs, its ESA allows customers to pay a rate “per energy unit saved” that’s discounted to current utility rates. Its efficiency financing solutions remove project performance risk and reduce operating costs for its customers without encumbering their balance sheet. Noesis is backed by the world’s largest provider of credit for equipment purchases and is the leading finance partner for sellers of commercial building improvements. We provide specialized financing with online sales tools to help industry-leading companies grow their business, and are the ONLY provider of promotional payment plans for commercial energy efficiency sales. NYCEEC is a non-profit finance company that provides clean energy financing solutions. We work with borrowers to develop loan structures (including loans, energy service agreements, power purchase agreements and green mortgages) that meet their needs and achieve cost and energy savings.